Updated at 7:48 p.m. September 6, 2016, with a statement from Brady Toensing. Vermont Attorney General Bill Sorrell said Tuesday that an email Sen. Bernie Sanders’ (I-Vt.) presidential campaign sent to support Rep. Chris Pearson’s (P-Burlington) state Senate race did not violate state campaign finance laws. In the May email to his supporters, Sanders urged recipients to contribute to eight like-minded state legislative candidates around the country, including Pearson, who worked for Sanders in the late 1990s. 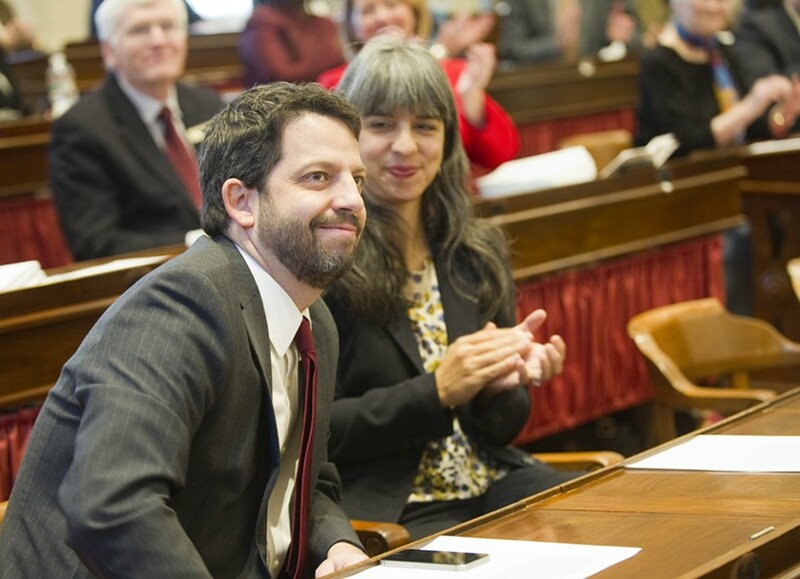 Pearson is running as a Progressive/Democrat for one of Chittenden County’s six seats in the state Senate. Brady Toensing, a Charlotte attorney and Vermont Republican Party vice chair, filed a complaint with Sorrell in August, arguing that the email represented an in-kind contribution to Pearson’s campaign. Such contributions are subject to disclosure requirements and a $1,500 limit per person. Toensing said that of the $90,000 Pearson raised from his campaign, $80,000 could be tied to Sanders’ email. In a prepared statement, Sorrell said the email could be interpreted as an appeal to raise money for Pearson, and not to vote for him. Therefore, Sorrell said, it was legal. In a statement, Toensing called Sorrell’s decision “improper,” and warned it would create loopholes for unregulated campaign expenditures.